translation business « Translator T.O. It’s that time of year again! ProZ.com’s 2016 international event is coming up in just a few months, and over 100 people have already registered to attend. This year’s conference will take place in Stockholm, Sweden on September 3rd and 4th. See the “Social” tab of the event page for complete details on these activities. Attendees will also have many chances during the conference to chat, like at lunch, during coffee breaks, and in a business card exchange. In addition to networking opportunities, industry events are also a great excuse for language professionals to do something they love: experience new and different places, languages, and cultures. If you’re planning on attending this year’s international conference, you’ll have the chance to enjoy a few days in the heart of Stockholm, the capital of Scandinavia. The city is surrounded by water, uniting the vibrancy of a metropolis with clean air, sparkling water and green spaces. An incredibly walkable city, Stockholm combines cutting-edge Scandinavian design, art and cultural attractions with striking natural beauty, spread over the 14 islands that make up the “Venice of the North.” Check out the city’s official tourism website for more information on getting around the city, places to stay, and attractions to visit to get the most out of your time in Stockholm. For the first time ever, ProZ.com will be hosting an ATA certification exam as part of its international conference package. This is an excellent opportunity for translators to certify their skills at a rare European sitting of the exam. Space is limited to only 20 people, so be sure to register soon if you are interested! Maya Hess is the founder and CEO of Red T, a U.S.-based nonprofit organization that advocates worldwide on behalf of translators and interpreters in zones of conflict. As a forensic linguist, Maya provided language support and expert witness services in many high-profile terrorism trials, among them those related to the US embassy attacks in East Africa, the World Trade Center bombing, and the New York City landmarks conspiracy. At ProZ.com’s 2016 international conference, Maya will be giving a compelling keynote speech on protecting language professionals who work in high-risk settings. Read more about Maya’s keynote speech and register to attend by visiting the session page. In addition to the points listed above, attendees at ProZ.com’s 2016 international event will also have the chance to receive discounts on site membership and training courses, participate in a one-on-one workshop with site staff on tips and tricks for getting the most out of ProZ.com, as well as qualify for 10 ATA Continuing Education credits. New attendance benefits are added regularly, so be sure to check out the “News and updates” section of the main conference page for the latest event news and announcements. The special early bird discount to attend this conference ends in just 18 days, so be sure to book your seat now while this offer is still available. Just click one of the “Buy now” buttons on the left side of the main event page: http://www.proz.com/conference/683. Special discounts are also available for students, site moderators, members of the Certified PRO Network, and members of the SFÖ. Don’t hesitate to get in touch via email at conferences@proz.com, or contact the local organizer, Erin Lyons. You can also find this event on Facebook, and on Twitter using the hashtag #StockholmConf. Hope to see you in Stockholm! If you plan on attending this event, what are you most looking forward to? “Welcome to one of the best jobs in the world!” screams the back cover of Gary Smith’s new book: Confessions of a Freelance Translator, Secrets To Success, a book offering practical, easily applicable tips to make a successful living out of freelance translation. Gary Smith, a ProZ.com member, Certified PRO, trainer, event organizer and conference speaker, is an experienced proofreader and translator from Spanish and Catalan to English. A British native, he has lived in Spain for over two decades, offering webinars and talks internationally and around Spain. In today’s post, I had a chance to speak with Gary about Confessions of a Freelance Translator, Secrets To Success, the motivation behind the book, the process of writing it and the usefulness of the tips and tricks he provides throughout the book to translators starting out or who wish to make the leap to better earnings and work. Me: What inspired you to write this book? Gary: This is the kind of book I wish I’d had many years ago, so I could have avoided mistakes! Back then I would have loved this book with plenty of practical, applicable tips on freelance translation to start out or move up to higher earnings and productivity. I think today in general there’s a generally positive attitude in the freelance translation community and a good example of that is Erik Hansson’s cathartic Facebook page “Things Translators Never Say” (TTNS) (voted winner of the ProZ.com Community Choice Award for best Facebook Page), which looks at frustrating situations with clients with humor and inspired this book’s title (there is a section in the book with funny situations with clients). It’s far better to laugh about such things with our colleagues around the world than to bang your head against the desk! Even so, I felt there was a need for a book with this positive attitude that also gives a great deal of realistic, useful advice for translators about how to improve their situation. The Things Translators Never Say group gave me plenty of examples of typical problems faced by freelance translators, which helped me understand what they need and produce a book for them, all with a dash of of humour. And here it is! Me: What was the hardest part of writing this book? Gary: Strangely, the same kind of things we come across as translators, since translators themselves are writers! In other words: organisation, editing, revising, reviewing, proofreading, layout, design, etc. Then, as our translation clients sometimes do, I’d discover something new or realize I’d forgotten to mention something, so I’d have to add it in a logical, coherent way. Sometimes I thought I’d never finish it! It’s taken about three years to write and I’ve used material from my own talks as well as studying successful small businesses and listening to advice from my experienced translation colleagues, of course. Me: How much of the book is realistic? Are experiences based on someone you know, or events in your own professional life? Gary: All of it! But the difference with this book is that there are lots of examples we can all relate to from service providers we come across in everyday life, using similar “tricks of the trade” that are in fact relevant to all professions and applying them to translation services to help attract and keep good clients. There are also many examples from my own experience in the profession and from translators I have known over the years. Too many good translators are let down by a lack of simple, practical business nous that doesn’t seem to get taught enough in formal education. Whether we like it or not, most translators have to be freelancers and therefore entrepreneurs to a certain extent to make a good living. Me: Is there a message in your book that you want readers to grasp? Gary: Hmm…I’d say above all the message is that you can definitely make a good living out of translation by being a good professional and that the pros definitely outweigh the cons. It’s a great job if you get it right! Me: Did you learn anything from writing your book? If so, what was it? Gary: Well, as I’ve found when preparing my talks for congresses and webinars, when you want to teach something well and clearly you always end up fact-checking and learning something yourself, yes. I learned a lot from small business experts and even about sales psychology. And I also listened to some of my successful translation colleagues, of course! But with this book in particular, I observed service providers of all kinds, learning how they deal with their customers. Me: Can we take a sneak peek at the book before its release? The book, through Gary: “…First, let’s put ourselves in our potential client’s shoes. The monolingual, monocultural client needs a text translated but knows nothing about translation, how to find a good translator, or how much they may reasonably charge. Their idea of a human translator may be a studious hermit sitting at a desk piled with paper dictionaries, holding a quill poised in the air as they muse over a mixed metaphor. On the other hand, the only translator everybody in the developed world has heard of is Google Translate. Everybody has used the famous word cruncher once in a while to see what their Chinese tattoo actually means or get the gist of a foreign news article or recipe. So our potential client knows of Google Translate at least. They also know it is capable of translating thousands of words per second for free. And then they turn to you and discover that it will take days and cost several hundreds or thousands of euros. Understandably, they may well be taken aback. Me: When will the book be released and how will readers be able to purchase it? Gary: The book will be made available any time now at Lulu.com. Confessions of a Freelance Translator is divided into easily digestible sections relating to: finding, keeping and dealing with clients, setting fees, visibility, guiding the client through the translation process, freelance organisation in general, specialisation with some useful tips on scientific and technical translation, a general discussion of hot topics (e.g. machine and crowd translation), some tips on small interpreting jobs and of course some hilarious examples of confessions of a freelance translator! Translation companies are an essential segment of the industry, and one key objective of ProZ.com is to better understand their needs and to provide them with tools, opportunities and resources which will help them achieve their objectives. And of course this also means providing better opportunities for good translators and good companies to meet for their common benefit. The ProZ.com team is currently working on new Corporate-only features such as Classic jobs notifications, a mechanism for corporate members to report feedback on non-delivery by translators, and improved features for employee accounts. Further down the road we plan to provide better risk management tools – especially for fraud prevention – as well as advanced vendor management features for recruiting, qualifying and managing service providers. Several channels are used to learn about the needs of translation companies, including through the site’s support center. A survey is also being conducted in order for ProZ.com to better assess the needs of translation companies and learn how it can add value to Corporate membership. If you have not yet participated in this survey, please taking a few minutes to share your concerns and feedback. Last but not least, I would like to open a “corporate corner“ in this blog, and extend an invitation to all ProZ.com Corporate members to share their views on industry-related issues through a series of guest blog posts. If you are interested in contributing to this initiative, please reply in the comments section below. Today’s guest post was written by Paula Ribeiro – president and co-founder of the Portuguese Association of Translators and Interpreters (APTRAD). This organization will be holding its first international conference on June 18th and 19th in Porto, Portugal. APTRAD, the Portuguese Association of Translators and Interpreters, was established in February 2015 by a group of freelance professionals in response to a perceived need for a modern, creative and innovative approach in order to achieve greater cohesion and exchange of information at a national level within the profession. After almost one year of hard work we are proud of achieving some of the important goals we initially set. APTRAD’s motto – Interpreting the present to translate the future – reflects the Association’s aim to promote and foster the growth of its professional members, and to support the integration as professionals of all future translators and interpreters into the market. Pursuing this thought, APTRAD is holding its first International Conference on June 18-19, 2016. Taking advantage of the main festivities of our city in that month, we will try our best to turn this event into a big party, welcoming all translators, interpreters and linguists in general to join us in our beloved hometown – Porto. The theme of the conference will be “Stages in the career of a freelancer” and will tackle the different phases in the career of a professional freelance translator and/or interpreter and what’s expected and required at each stage. We will have renowned speakers who will certainly inspire all of us with their knowledge and experience in several areas of our profession. 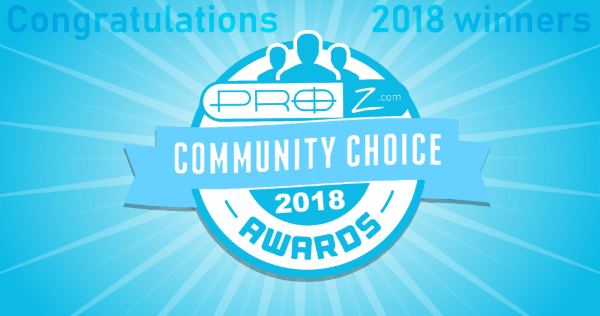 The organisation of this event becomes much easier with the valuable help of our partners in which ProZ.com is included as an essential reference in the career of so many professionals. A big thank you on behalf of APTRAD. Feel free to visit our website at www.aptrad.pt and more specifically the conference website at www.aptrad.pt/conference/conference and drop us a line if you need help from us. See you in Portugal, in June! Paula Ribeiro started translating in 1997, and since then she knew that this was the career she wanted to pursue! She graduated in 2006 with a Master’s Degree in Specialized Translation and Interpretation with English and French as her working languages, and later Spanish as her third language. She is currently pursuing a postgraduate degree in Computer Assisted Translation. In 2010, Paula decided to create her own company – Crossingwords – and to undertake translation and interpretation as her main occupation, always maintaining her education and training as a key part of her professional and personal development. As an event organizer, Paula has planned several conferences on both a national and international scale, including the 2013 ProZ.com International Conference. 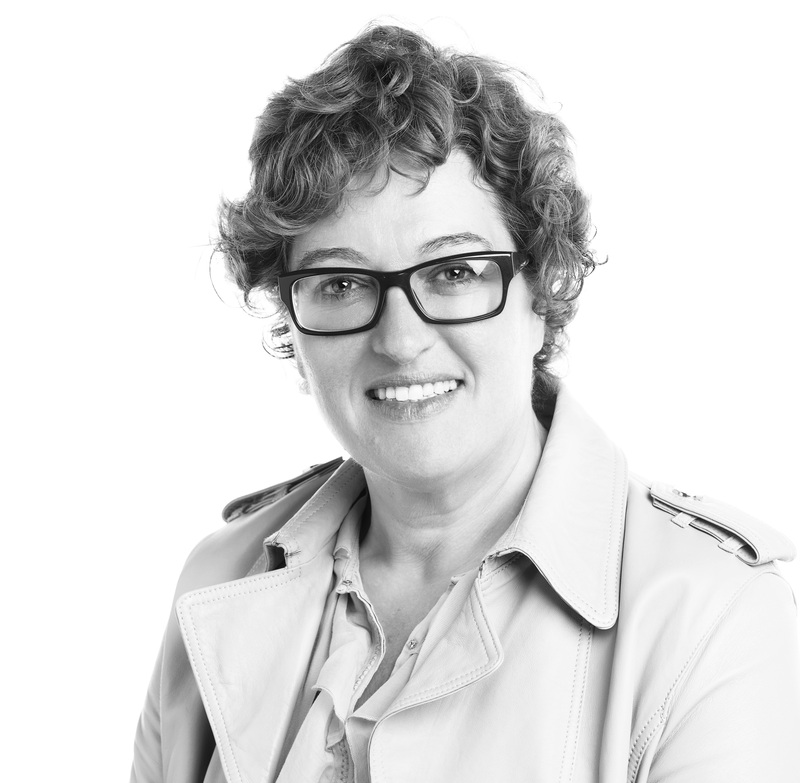 Since February 2015 Paula has been one of the founders and the President of APTRAD, the Portuguese Association of Translators and Interpreters, a formally constituted non-profit organisation based in Porto. You can find APTRAD’s international conference listed on ProZ.com’s translation industry events calendar, along with dozens of other language and translation-related events that are scheduled to take place this year, ranging from workshops or seminars, to powwows, to regional events, to major international conferences. On behalf of ProZ.com, I want to welcome Kevin and Nate to the ProZ.com community. TM-Town’s platform is constantly being improved and updated with better tools designed with language professionals in mind, and we are excited to see what will come next. Welcome to the team, Kevin and Nate! Scammers who prey on translators will not go away. They operate under fake names, pretending to be clients, and cheat translators out of their work or money. The community has taken on the task of creating resources and sharing information about these scams with impressive results, creating an abundance of posts raising awareness about scams targeting translators. The oldest such article I could find dates back to January 2011, and since then they have multiplied. There are also discussion hubs like ProZ.com’s Scams forum in which information about scammers is shared on a daily basis. I think it is safe to say that creating content to fight this blight is a step that has been successfully taken. As the manager of ProZ.com’s Translator scam alert center since 2011, I have been in touch with people that have fallen for scams for a long time. A pattern that stands out is that only those who are unaware of online scammers fall for scams. Knowledge of online scams and risk management procedures, in this case, works like a vaccine that makes the one exposed to it immune to scams. The knowledge is out there and it’s being shared, but not everyone may be exposed to helpful information in regards to spotting scammers. If you are offered a job that does not make sense to you, does not match the service they offer, is below your rates, etc., simply dismiss it. If you are offered a job that you find interesting, ask for verifiable contact information. Once you receive verifiable contact information, check it until you are sure you know who you are dealing with. After that, check payment practices and other information (for instance in the ProZ.com Blue Board). Anyone who fails any of these checks should be deemed too risky for collaboration. This doesn’t mean they are confirmed scammers, they are just too risky to consider doing business with them. Have you ever been the victim of a translation-related scam? If so, what could you have done differently to prevent it?